What I don’t like about fashion is when it’s too dictatorial. Everything is not for everybody. I don’t like to be trendy; I don’t get crazy with what’s in or what’s out. 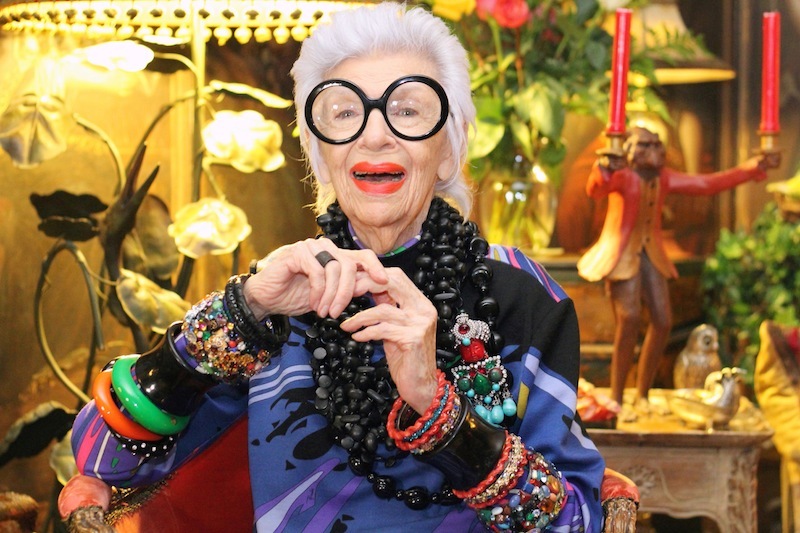 – Iris Apfel, NYC style icon (at 92) and recent fashion accessories designer. Image courtesy of Kristen Caven. Like most women, Kristen Caven (cartoonist, writer, and the fabulous artist who created my logo) loves shoes. And when she was part of the dance troupe known as the Decobelles, she and the other Belles often got together to chat about their mutual obsession. It was these chats that made Kristen want to write a musical about shoes. She envisioned a chorus line of lovely ladies all sporting a different style, everything from Converse to Louboutin. At the same time, Kristen had been pondering the fairytale, Cinderella. She says the story didn’t make sense to her. “Why did Cinderella have to have such dainty feet?” she asks. “She was a maid!” Kristen found herself wondering what it meant to find a shoe that fits. And then it clicked – she would write a musical Cinderella, a modern Cinderella called The Souls of Her Feet. Kristen and her writing partner, Michael O’Dell have been working on The Souls of Her Feet for ten years and as part of the process, Kristen decided to also put it in novel form, which is now available on Amazon. Anyone who says a shoe’s a shoe is just a shoe eschews the wisdom of the new, the few, the women who know through and through that whatever you do you’re on a path, be it to town or Timbuktu, so blue, ecru, or any hue, your shoes give you direction that is true. — I guess they do. — Ah yes. Be versatile. Harry reaches for shoes on racks, from above, and in bins to illustrate his points. When you accessorize the hemisphere beneath your thighs, remember: there’s a purpose for every variety of shoe if you are wise; wear fuzzy slippers to keep warm, and steel-toed Docs to vandalize; Flip-flops for the beach and for sports, Air Jordans help you to fantasize. 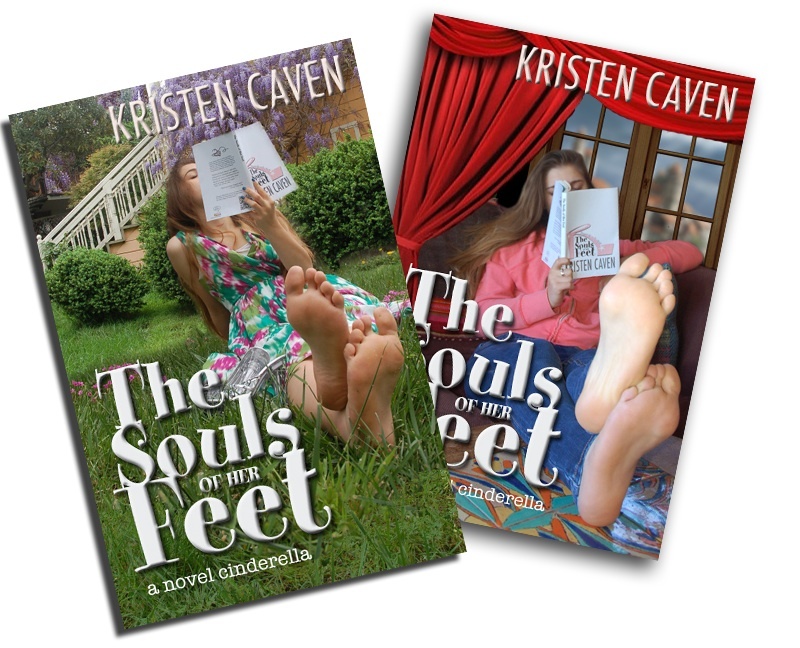 The Souls of Her Feet, by Kristen Caven is a clever, fun read loaded with vintage shoe detail and a bit of shoe philosophy, to boot! I think the whole idea is that now fashion is really about building a brand, a lifestyle, a head-to-toe look – hair, makeup, shoes, and accessories. 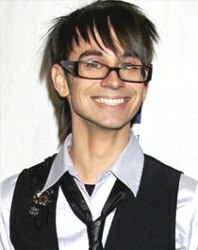 – Christian Siriano, fashion designer (2008 Project Runway winner). Lifestyle Branding is a trend in corporate fashion. Brands such as Michael Kors, Kate Spade (BTW, the actual designer Kate Spade sold her company years ago) and Isaac Mizrahi, who also sold his name, are among the many offering merchandise from clothing and beauty items to bed linens and candles. Lifestyle Branding saves customers from having to think too much by giving a cohesive look for all aspects of life. I can see the attraction for busy people who don’t have time, or perhaps don’t feel they know how, to put themselves and their homes together. Also, sporting a complete look by a brand could be like joining an exclusive community. I don’t know, do women who carry the ubiquitous MK handbag feel a sense of sisterhood when they spot one of their own? Yes I understand all that, but personally, I think fashion is all about the creativity of not just the designer but the wearer and Lifestyle Branding takes that away, creating less individuality. People who are trying their own look, however imperfect the results, are much more interesting to watch. Dita Von Teese, on the Vanity Fair International Best Dressed List. Dita Von Teese is on the Vanity Fair International Best Dressed list and … you know where she gets her clothes? The Vintage Fashion Expo! Ms. Von Teese says her FAVORITE place to shop is The Vintage Fashion Expo, which just happens to be coming up this weekend, Saturday September 21st and Sunday the 22nd, at the Concourse Exhibition Center, in San Francisco. Hey, I’m with her, The Vintage Fashion Expo is the best with over 80 dealers from across the country offering selected men’s and women’s clothing, antique 1850s right on up to vintage 1980s (yes, I guess 80s is now considered vintage). Plus jewelry, hats, shoes, handbags, buttons, hair accessories, and more. Fall in particular is my very favorite Expo as I dream of 40s suits, shirtwaist dresses, and this season I’m on the lookout for vintage sunglasses. You can’t argue with Best Dressed so make your fall fashion list and show up at The Vintage Fashion Expo this weekend at the Concourse Exhibition Center, 635 8th Street at Brannan. September 21st, 10:30am to 6:00pm, $10 (early birds, 9am to 10:30am, $20). September 22nd, 11:00am to 5:00pm. Sunday only – free to students with a student ID. Click here to get a $2 off coupon. See you at The Expo. Rings in the Cheapside Hoard collection. Image courtesy of the Museum of London. Fashion doesn’t translate down the centuries whereas the jewelry you can incorporate into what you’re wearing, and it translates. – Carol Woolton, Jewelry Editor for British Vogue. Ms. Woolton is speaking of the Cheapside Hoard, a collection of Elizabethan and Jacobean jewelry discovered in a cellar in Cheapside, the City of London in 1912. The collection will be on exhibit at the Museum of London October 11, 2013 through April 27, 2014. I think what I often see is that people are frightened of fashion. Because it scares them or makes them feel insecure they put it down. On the whole, people that say demeaning things about our world, I think usually because they feel excluded … so as a result they just mock it. 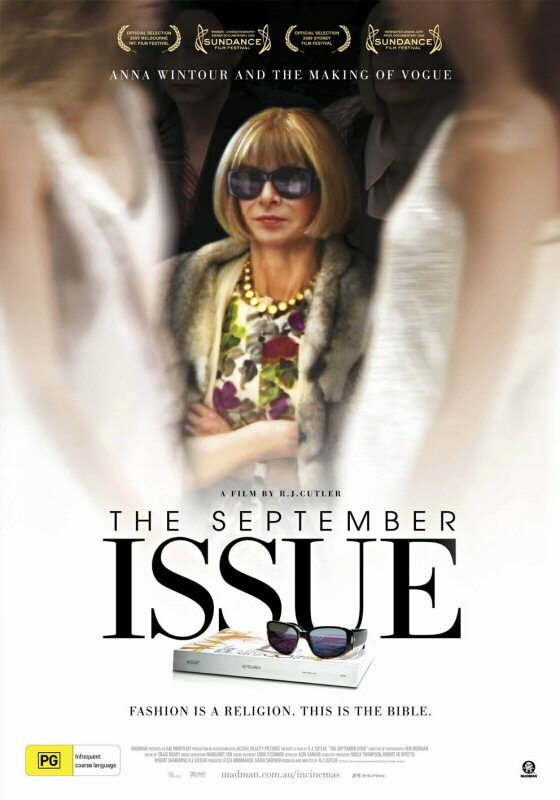 – Anna Wintour, editor Vogue magazine, artistic director of Condé Nast, speaking in the 2007 documentary film, The September Issue. Founder & President of Model Alliance Sara Ziff. I think there’s something deeply unsettling about some of fashions’ wealthiest, most powerful brands hiring minorities and not compensating them financially. – Sara Ziff, fashion model, filmmaker, and labor activist. Ms. Ziff is co-director of the film, Picture Me: A Model’s Diary, which chronicles the not-so-glamorous world of fashion modeling. She is also the founder and president of The Model Alliance, a not-for-profit organization who fights to give models a voice and improve their working conditions.